Oregon is in the midst of a wildlife recovery success story. After gray wolves were eradicated from the state by 1947, the species got a second chance by migrating back in from Idaho’s reintroduced population. Between 1999-2000 three wolves traveled into Oregon. One was shot dead; one was hit by a car and killed; and one was tranquilized and deported back to Idaho. This compelled the creation of the 2005 Oregon Wolf Plan which set up recovery objectives for the species. The plan was updated in 2010 and a second update is expected by summer 2017. 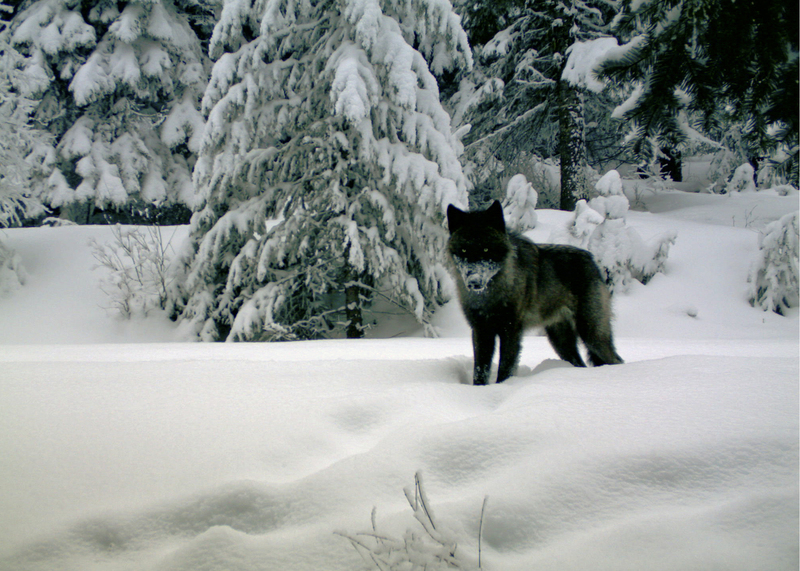 Walla Walla pack wolf in 2014 (photo by ODFW). Cascadia Wildlands and partners have successfully litigated a number of times to protect Oregon’s recovering wolf population. In 2010, we stopped Wildlife Services from killing wolves in Oregon’s Imnaha Pack. In 2011 we secured a legal injunction by the Oregon Court of Appeals which halted all lethal control of wolves in Oregon. We used the injunction to leverage an historic settlement agreement with the state and the Oregon Cattlemen’s Association in 2013 that created firm sideboards for when lethal control can be used. Livestock producers now must use pro-active non-lethal tools to deter conflict between wolves and livestock if a depredation is to count toward the “chronic” threshold when lethal control can be triggered. The Oregon legislature has set up and allocated revenue to a fund to assist livestock producers with acquiring non lethal tools to reduce conflict and for compensation due to livestock lost to wolves. End-of-year 2018 counts by the state of Oregon documented at least 137 wolves in the state represented in 16 packs or pairs. The majority of packs are located in northeast Oregon, however, packs have begun to establish themselves across historic territories throughout the state. In 2015, gray wolves migrating south from Oregon established the Shasta pack to become the first wolf pack in California in nearly 100 years. Visit our Oregon wolf recovery chronology to better understand developments in the state since 2008. 2019 Press Release: Wolves Return to Lane and Douglas Counties!